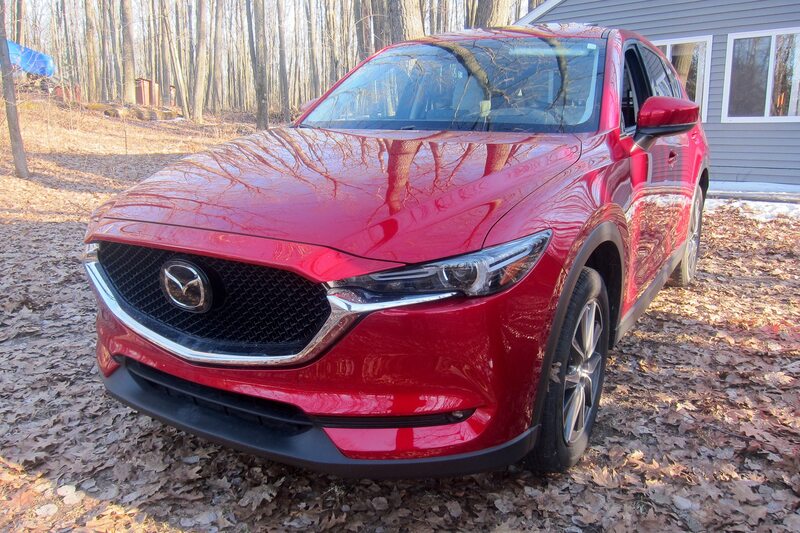 After the thrill of experiencing good grip and predictable handling in a Great Lakes winter storm on my way back to Metro Detroit, our Four Seasons 2017 Mazda CX-5 settled into a mostly uneventful spring. It ran a couple of quick drives to Metro Milwaukee and back along with springtime road trips to prepare a weekend cabin on Lake George, northwest of Clare, Michigan, in time for summer. As with most SUVs, its upright rear seats offer good rear legroom and headroom. 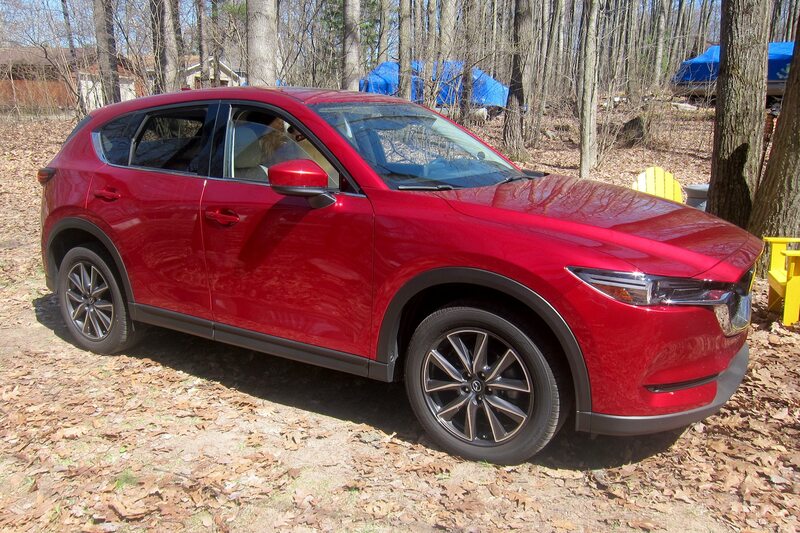 The CX-5 would be a fine cross-country ride for four adults, still with decent rear cargo space behind the second row. But that’s not how your humble Detroit bureau chief uses sport/utility vehicles. 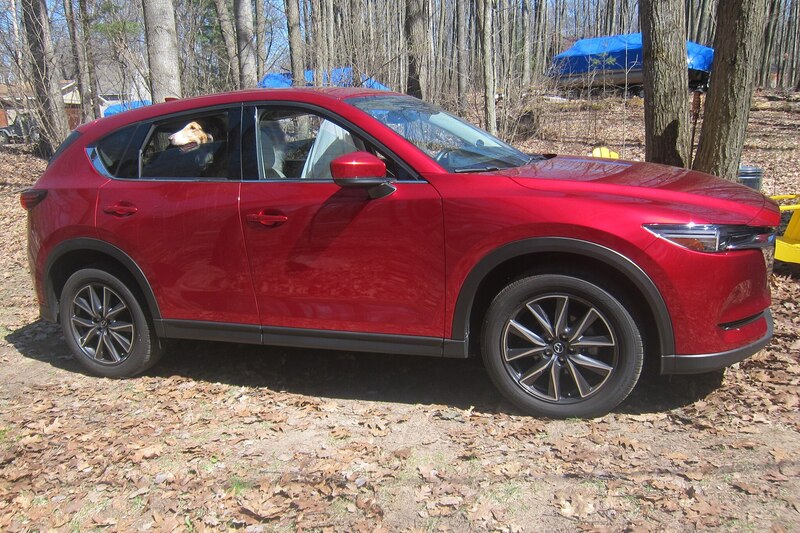 We have dogs, and in addition to our three collies, we called upon the Four Seasons Mazda to take part in the relay delivery of a newly adopted dog for an organization called Above and Beyond Transports. 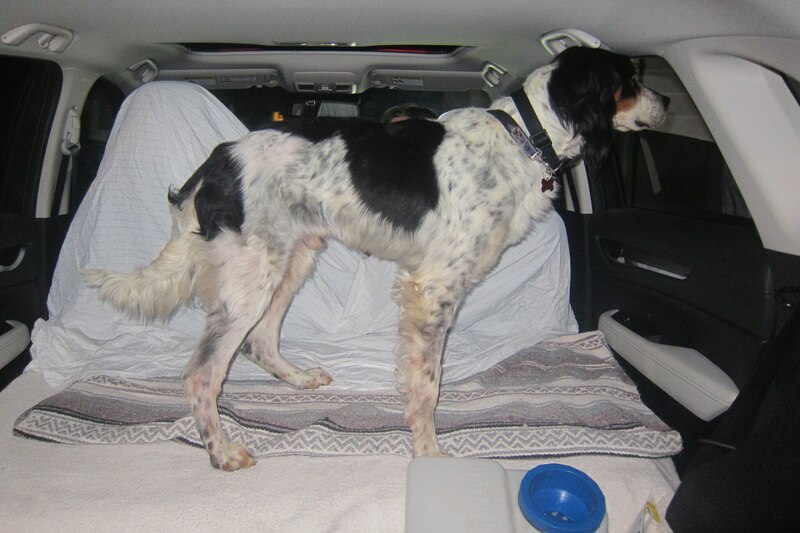 Murphy, an English setter, came from Goochland, Virginia. A couple on the relay brought him to downtown Detroit from Toledo on a Saturday evening, and my wife, Donna, and I had the last leg, transporting Murphy 50 miles to Marine City, Michigan. 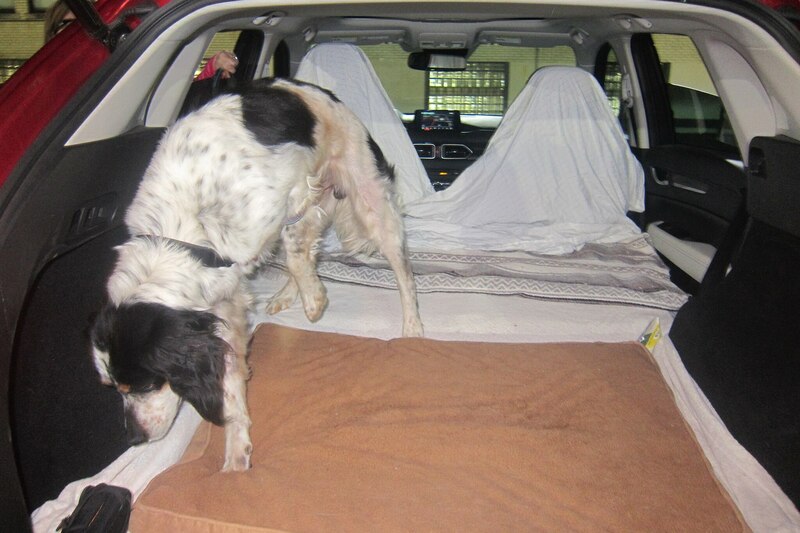 We fitted the cargo area behind the front seats with comfy, carpet-and-vinyl protecting sheets and rugs, but otherwise there was nothing remarkable about the drive. 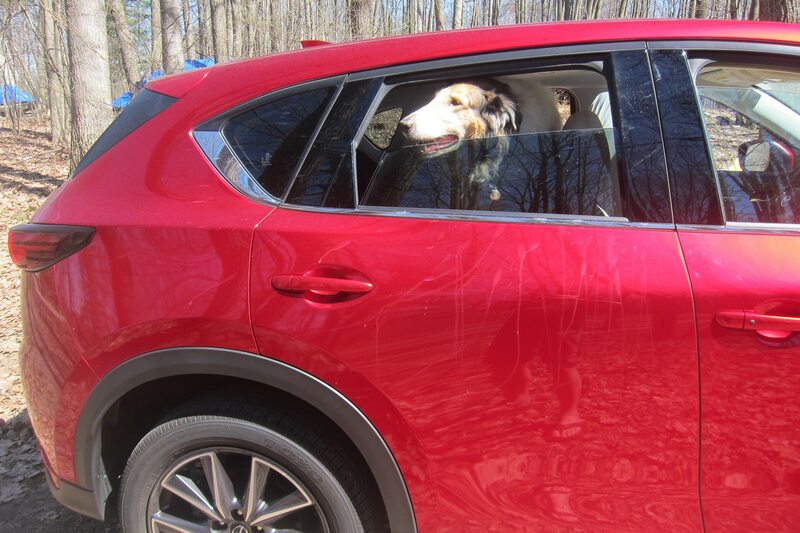 Murphy seemed to appreciate the CX-5’s ride quality and more importantly, its half-lowered rear windows. While the ride and handling are better balanced than that of sport-tuned luxury SUVs costing more than twice as much, there’s no overcoming the physics of a high center of gravity. A back-to-back drive with my personal Subaru Crosstrek drove that particular law of physics home–the lower Subie crossover is still more fun to drive and even then, it can’t hold a candle to a WRX, let alone a BRZ or MX-5. Photographer William Walker used the Mazda as a camera car for Rory Jurnecka’s feature on Preston Tucker’s personal Tucker 48. 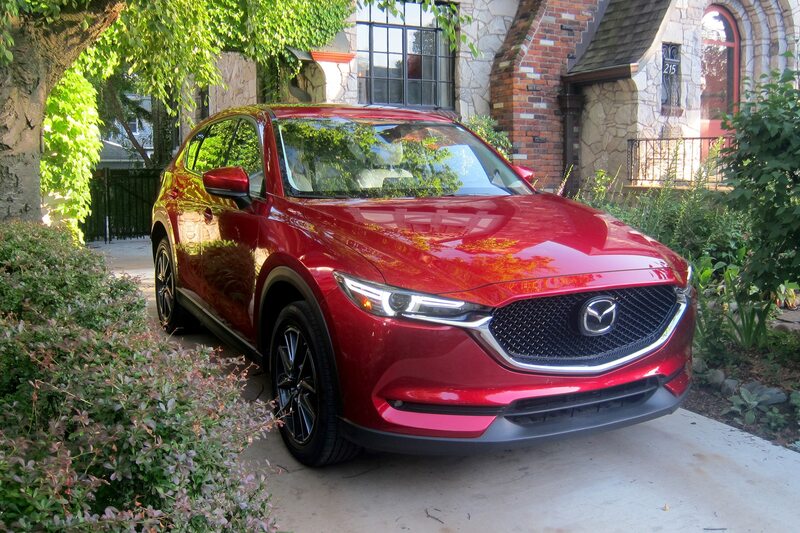 Luxury car aficionado and Motor Trend group senior vice president for sales Eric Schwab drove it over a couple of weekends and found its nicely padded, well-equipped interior worthy of a premium SUV. We averaged 25 mpg flat through early May. 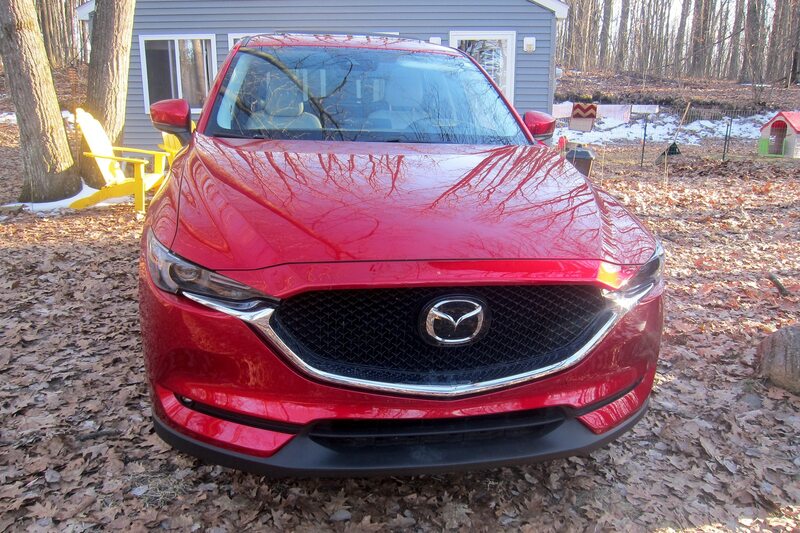 For most consumers, it’s that hint of premium at a commodity price that sets the Mazda CX-5 apart from competitors like the Nissan Rogue, Toyota RAV4, and Honda CR-V. Mainstream buyers will find the power adequate, the ride comfortable and the steering precise with just the right level of quickness for a tall, high center of gravity vehicle. Most won’t notice the better-than-average handling, though they will find that it makes its way through urban traffic better than many of its competitors. 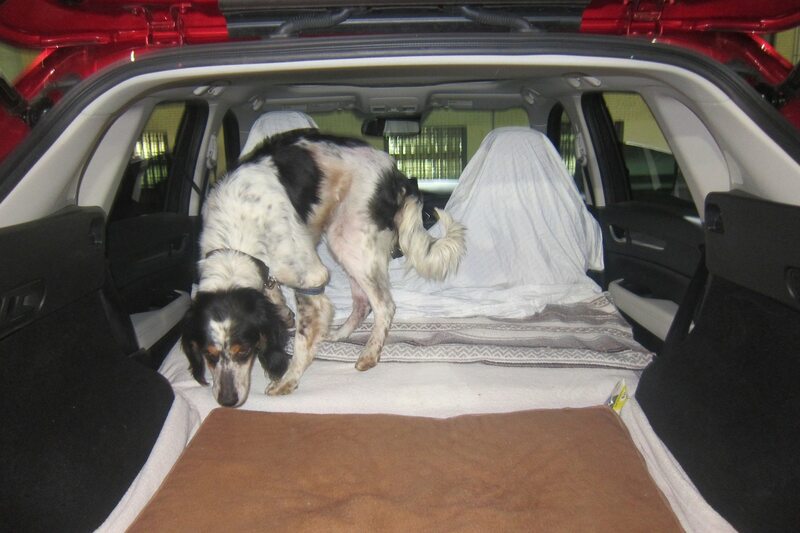 It feels smaller than it is, and once you’ve piled in your passengers (human or canine), your gear, and your luggage, that’s a good thing.